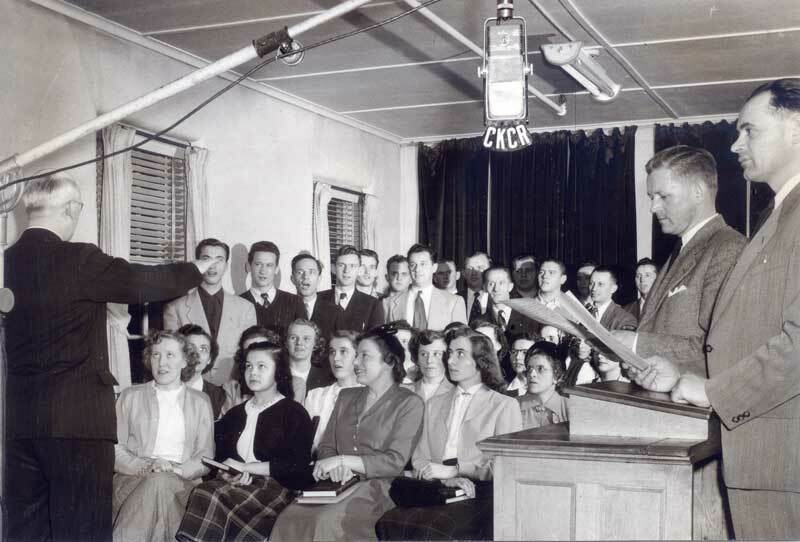 The Church choir led by Nicholas Fehderau Nicholas Fehderau, announcer C. J. Rempel C. J. Rempel (left) and preacher Frank C. Peters (right) giving a weekly radio program ca. 1950.
current 17:11, 23 August 2013 800 × 542 (52 KB) Maintenance script (talk) The Church choir led by Nicholas Fehderau, announcer C. J. Rempel (left) and preacher Frank C. Peters (right) giving a weekly radio program ca. 1950. This page was last modified on 12 August 2016, at 17:08.